KaBOOM! 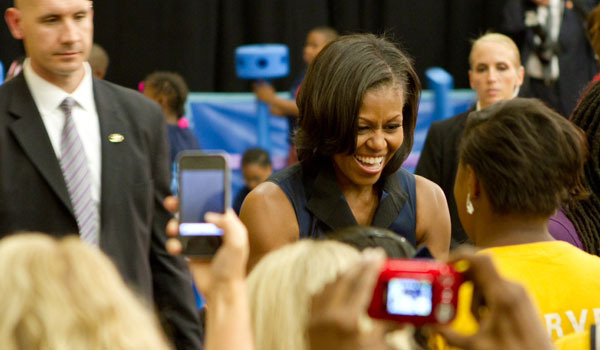 joins First Lady in Philly to help fight childhood obesity | KaBOOM! KaBOOM! was honored to join First Lady Michelle Obama, Health and Human Services Secretary Kathleen Sebelius and local elected officials from across the country in Philadelphia to announce public and private sector commitments to support the goals of Let’s Move!, the First Lady’s initiative to solve the problem of childhood obesity within a generation. In addition to committing to provide free materials, technical assistance and guidance for Let’s Move! Cities, Towns and Counties elected officials to build or expand public playgrounds, the First Lady cut the ribbon of a new Imagination Playground™ in a Box at the event. The set was donated to the Lenfest Center by Let’s Play and KaBOOM!. "Many of the nation’s children don’t live within walking distance of a park or recreation center,” said Secretary Sebelius. “Today, KaBOOM! 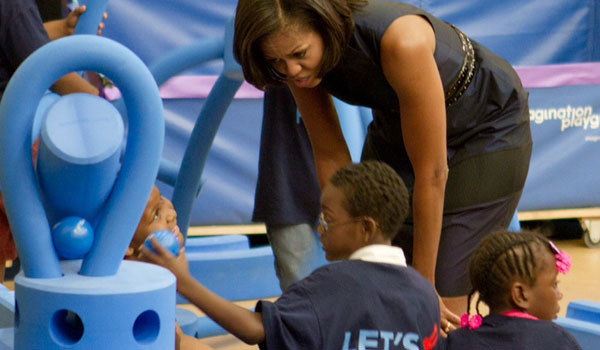 is giving Philadelphia a head start on solving that problem by donating a playground. But it’s not just any playground. It’s the Imagination Playground™ in a Box that you can see just over here to my right. The moveable parts come in a box, and kids can assemble them in any setting – indoors or outdoors – to create a safe place to play. These playspaces make an immediate impact in a neighborhood." Just prior to the event a new website was launched to help elected officials meet their goals of empowering kids to eat healthy and stay active, which includes detailed information on the importance of mapping playspaces and the tools to do it, including through the KaBOOM! 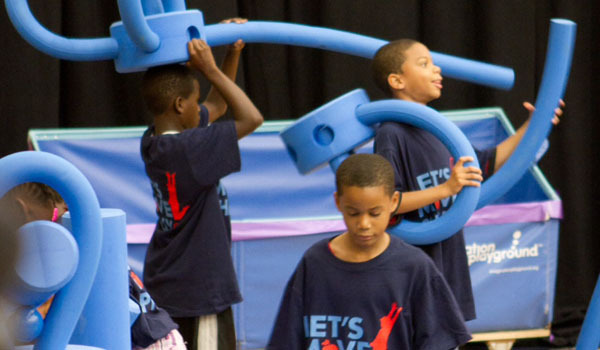 Playful City USA program. The goal of Let’s Move and the vision of KaBOOM! (a great place to play within walking distance of every child in America) intersect on the playground as children who live within a half mile of a playground are five times more likely to be physically fit and engage in active, healthy play. Photos via Seth Nenstiel (cc).